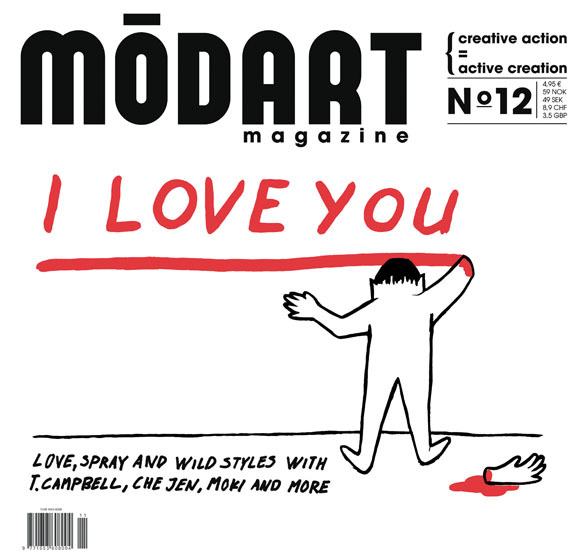 Modart came out of the sand and off the streets as it was launched in the US as a grassroots vehicle to support a creative talent pool bound by lifestyle and links to a bold, young, action oriented scene. By the time the last issue of the magazine printed, it was found in Museum Shops, Academy Libraries and Select Bookstores throughout Europe. In 2003, Modart headed to Europe to showcase some of this talent at the ISPO trade show in Munich. The success of the show led to a follow up the year after and demand for the show catalogues led to the birth of Modart Magazine. Looking back, these shows look like All Star Art exhibitions: Dave Kinsey, Shepard Fairey, Jeremy Fish, Ed Templeton and other Americans coming over to work wish artists like Will Barras, The London Police, Jon Kennedy and other rising European talents. Back Issues 1 – 19, along with ISPO catalogues and Mini Modarts, are available in our Shop. Modart Magazines on issuu.com – our magazine network.